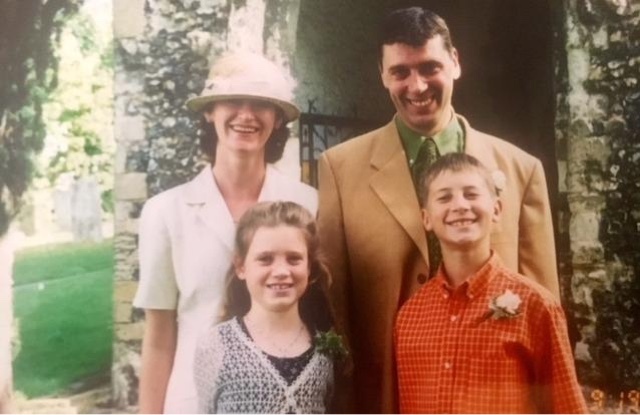 A family from Welling has turned their grief into action after their father took his own life, by helping other men suffering from mental illness. Joey Barton, a black cab driver, was just 57 years old when he committed suicide on June 23 of this year. His funeral took place on July 19. After his death, his ex-wife Christine, and their two children, Sam and Chloe, wanted to do something to honour his memory. “We were absolutely devastated. We never thought it would happen,” Christine told News Shopper. She describes her ex-husband as “very sociable” with “lots of friends,” which left people shocked and confused when they found out he had died. At his funeral, a friend who worked alongside Joey on the taxi circuit said he “could not comprehend” the idea he had killed himself. Since Joey’s death, Christine told News Shopper she and her children “did not want to sweep it under the carpet,” and, said they wanted to address the issue of suicide rates in men. So, instead of collecting for flowers at his funeral, Joey’s family asked mourners to donate to a gofundme page set up on behalf of the Campaign Against Living Miserably (CALM), which works to prevent suicide. After fundraising and liaising with the charity, and with a bit of help from Christine’s experience in marketing, the family has put up a billboard under the railway bridge in Welling, at the junction of Bellegrove Road and Westwood Lane. It will be on display until September 12. “It was my son’s idea,” Christine said, after Sam had heard about the charity through a friend, Jamie Kitto, who lives in County Durham. Jamie has been familiar with the work of CALM for some time, and has managed to campaign for a billboard of his own to be put up at the grounds of Horden Community Welfare FC. Now the family is asking other organisations across the country to get involved and offer their support to CALM in Joey’s memory. Christine said: “When you take your own life your pain and suffering does not die with you. It is inherited by your loved ones. “Suicide is a permanent solution to a temporary problem and it is never, ever, the answer. This is why we have to get men talking, to open up about how they are feeling.